The network is interesting to me for a lot of reasons, but the one aspect that immediately grabbed my attention concerns what happens when all of these organizations start to interact. Do they share ideas? Do practices spread from one organization to another? Does the network operate as a sort of lab, where new ideas and technologies are born? 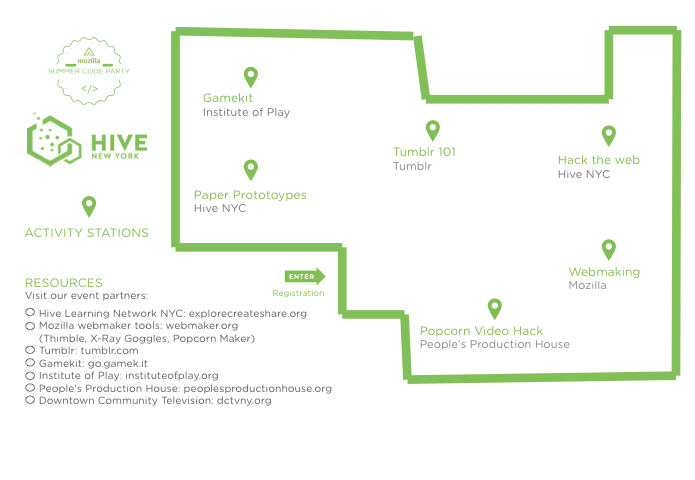 How do ideas from the broader Digital Media and Learning field (from which the Hive NYC network emerged) get taken up, appropriated, and remixed in the network? Basically, I’m interested in questions relating to innovation – how ideas, practices and technologies that are perceived new in a given context (Rogers, 1983) get ideated, iterated, and circulated within what I see as a dynamic network of organizations.